The Early Childhood Supports and Services Program “ECSS”, is a group of parents, advocates, interested community members as well as public and private agencies. These agencies provide services to children ages 0 through 5 and their families. Are you worried about the effects of arguing on your young child? Are family needs getting in the way of you working, returning to school, or achieving your life goals? Are you worried about other family members because of a serious problem that has not been corrected? 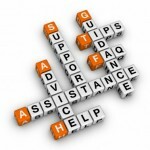 Do you have problems getting help for your child or your family? Does your child and family need assistance due to a developmental delay, diagnosed medical condition, or family history of mental illness or substance abuse? Families of children who are ages 0 through 5 and those who are at risk. Families of children who have multiple risk factors which have been documented by one of the participating agencies. For additional information, please visit the Early Childhood Supports and Services website or contact the program office directly using the information provided below.